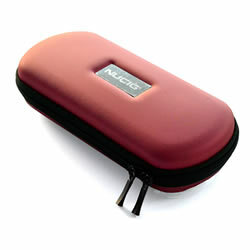 Large Luxury NUCIG Ultimate Ego carry storage case in red colour. 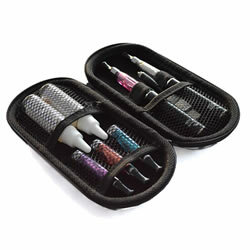 Does the job - holds all of the ecig parts and eliquids in a nice padded zipped organiser. Gone are the days when i would loose bits - now its all in one tidy case. Really nice case which is great for keeping all my ciggy bits safe in one place. I have bought 2 (red & blue) of these - now me and my hubby can keep our kits separate and all organised.